In a recent announcement video, Cellar Door Games, the team that created 2013’s incredibly fun (although sadly single-player only) Rogue Legacy, spilled the beans that their newest project Full Metal Furies, will be coming to Xbox One and PC January 17, 2018. The announcement from the developer can be read in full here but the best parts highlight that the game will feature a “True Co-Op experience” with 4-player Co-Op. For the game itself, the team at Cellar Door Games took inspiration from classic beat ‘em ups and hopes to follow suit much like Castle Crashers before it. 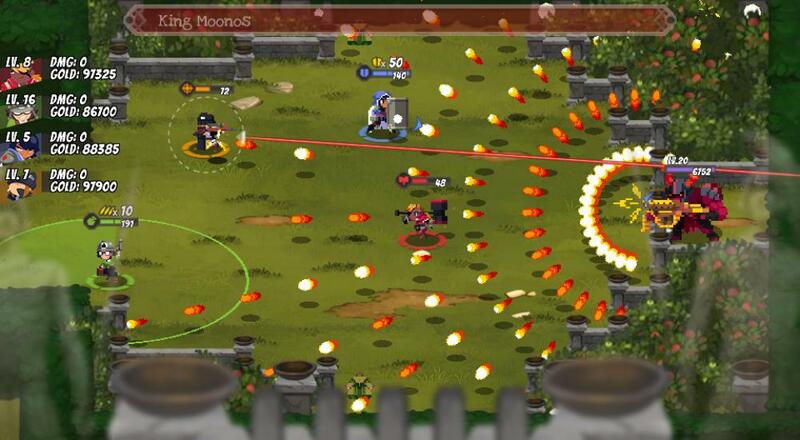 We here at Co-Optimus always love the sound of Castle Crashers-esque Co-Op, so this is fantastic news. In the announcement the developers also state that the game is set to feature a full narrative and somehow address punching foes off the edge of the screen, which is a staple of the beat ‘em up genre. While there is no mention at this time of a PS4 or Nintendo Switch release, the game is set to make an appearance on those consoles. Since Cellar Door Games waited so close to the release to reveal the date, it could be expected that we won’t know when the other platforms are set until right before. Are you feeling punchy enough to jump into another Beat ‘em up with some friends, or has your Co-Op focus shifted its direction? Let us know in the comments below, and as always, for all things Co-Op related stick with your friends here at Co-Optimus.com. Page created in 0.8542 seconds.